Company was founded to manage the assets of its Clients by investing on the capital markets, in particular in shares and debt securities. The Asset Management activity is run under a licence obtained from the Polish Financial Supervision Authority on May 26, 2010. Caspar AM was founded as an alternative to large asset managing institutions which are part of complex, often multi-layered, capital groups. In comparison to such entities, Caspar AM acts independently and is flexible when it comes to meeting the needs of its clients. 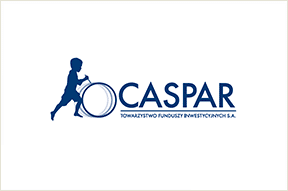 Caspar AM’s services are directed to High Net Worth Individuals with available assets of more than 1 mln PLN and Institutional Investors who wish to invest in Central and Eastern European Markets with the help of experienced specialists of the region. Company was set up on 18 April 2011. The founder of the company is Caspar Asset Management S.A. The company’s main activity is the creation and management of investment funds and the distribution of units of investment funds. The company is regulated by the Polish Financial Supervision Authority. We are a private company, established as an alternative to large investment funds institutions, which are a part of complex, often multi-​layered, capital groups. In comparison to such entities, we can act independently with a high degree of flexibility in relation to our Customers’ needs. Our mission is to provide investors from Poland with professionally and efficiently managed investment funds, operating in Poland, Europe and globally and generating above-average returns on these markets. 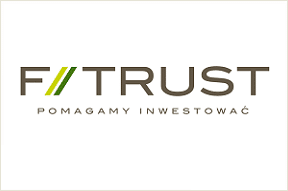 The distributor of mutual funds and savings products, which in its offer has more than 1,000 funds of Polish companies and foreign management companies. The overriding feature of the F-Trust is a total independence in the selection process and offering customers the best investment products tailored to their needs. F-Trust operates on the basis issued on 17 November 2011 by the Financial Supervision Commission, authorization for the business of intermediation in the sale and repurchase of units of open investment funds and specialized open-end investment funds and shares in offshore funds. The company was also registered by the Financial Supervision Commission in the register of investment firm agents on 20 December 2011. 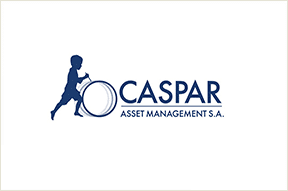 We act as an agent of the investment company Caspar Asset Management SA, which allows us to mediate in offering assets management services provided by Caspar.